Castletroy is located on the N7 Limerick, approximately 4 kilometres from the city centre and only 7 km, a 12-minute drive from Maldron Hotel Limerick. Less than 50 years ago this area was mostly rural, but over the years it has now become one of the largest suburbs in Munster. This change is mainly due to the establishment of the University of Limerick. Castletroy is now also home to Ireland’s first Olympic sized pool and impressive UL sports arena, attracting a vast array of athletes and teams from Ireland and abroad. It also houses the University Concert Hall, one of Limerick’s premier live entertainment venues. The National Technology Park is less than 16 minutes from the Maldron Hotel Limerick. The park is home to a number of multinational companies including Vistakon, Three, Northern Trust, Cook Medical, Icon, Becton Dickinson, Viagogo, Edward Life Science and Troy Studios. Also in the region, you will find the Castletroy Golf Club, Lough Derg, the University of Limerick, activity centre in Killaloe and Clare Glens. The Maldron Hotel Limerick is the perfect location for anyone visiting Castletroy in Limerick. Contact us now via phone 061 436100 to book. Maldron Hotel Limerick is a conveniently located hotel directly off the N18 motorway from Shannon and is the ideal location for any business or leisure traveller visiting Limerick city or using Limerick as a base for touring the southwest region.on. 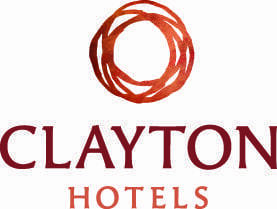 Castletroy is located just a 15-minute drive from the hotel or a 50-minute bus journey away. You can get the 303, 304 or the 304A bus to the town.